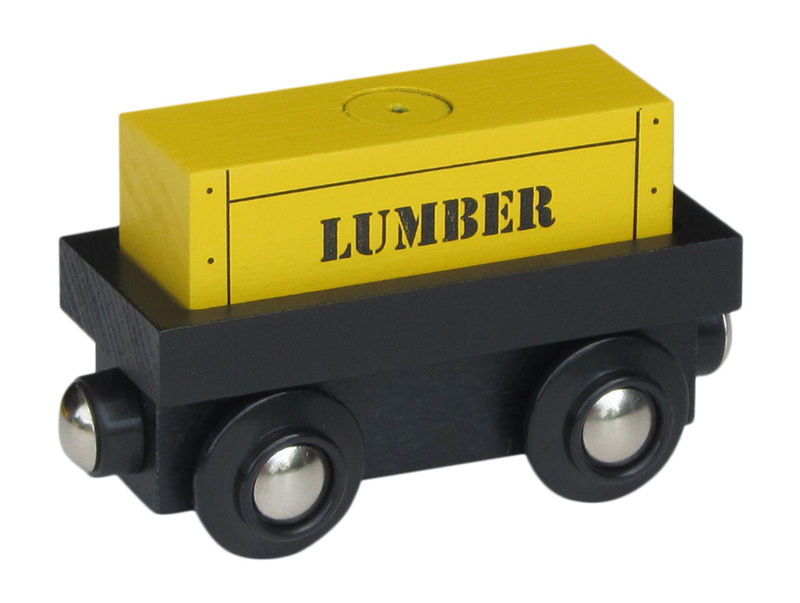 Wooden train cargo car with removable "Lumber" magnetic cargo. An awesome car to add to your wooden train collection. Magnetic cargo is removable. Exclusively here! Approx. 3" long. 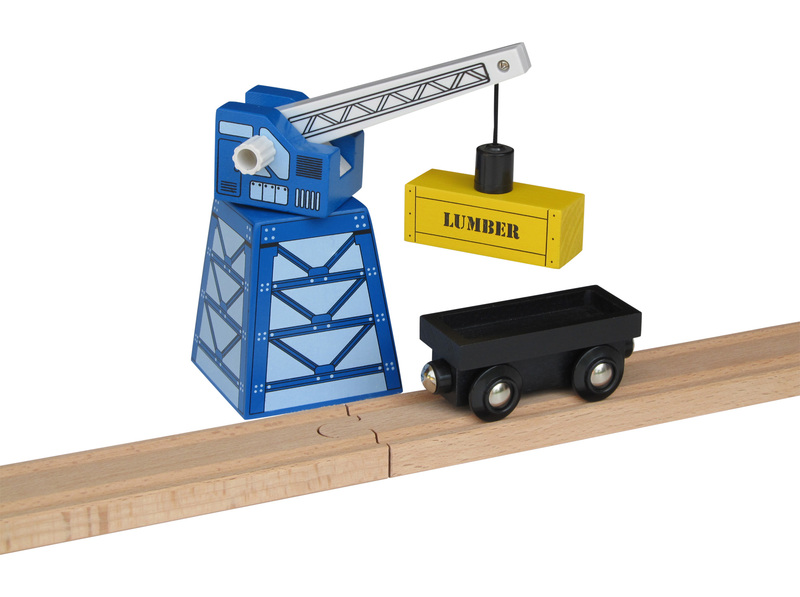 Round magnetic couplers are compatible with Thomas Wooden Railway, Brio, and many other wooden train systems. Painted with child safe non toxic materials. Choo Choo Track & Toy Co. Copyright Choo Choo Track & Toy Co.. All Rights Reserved. powered by 3DCart eCommerce Website builder.